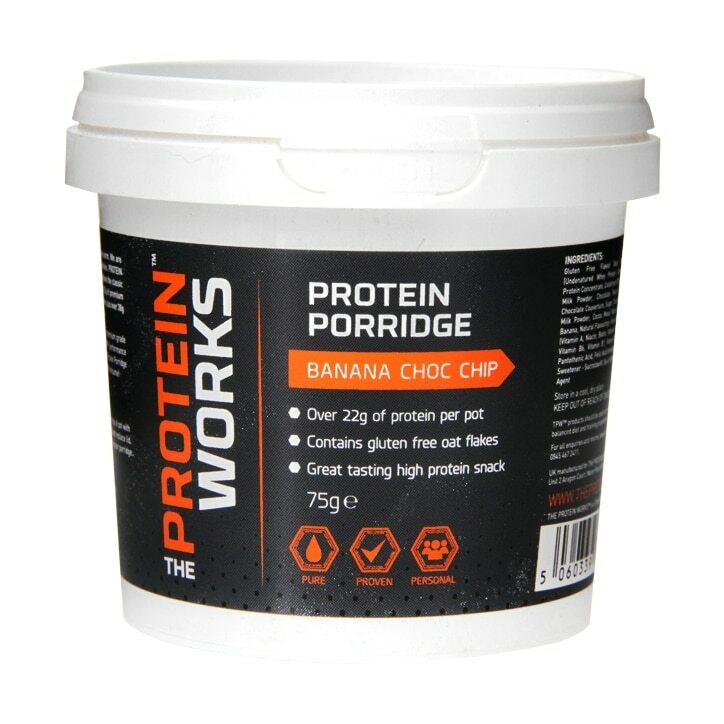 Protein Porridge Pots from THE PROTEIN WORKS™ are a ground-breaking innovation that re-defines the classic porridge. Each Protein Porridge Pot is packed with over 21g of premium grade multi-sourced protein to provide a tapered release, plus over 38g of carbs to help supercharge your day. In addition, it is gluten free due to the inclusion of our premium grade gluten free oat flakes. We've also included TPW™ nutrient dense colostrum. Made as always with our acclaimed natural flavours, Protein Porridge Pots are the ultimate in convenience. Banana Choc Chip is a smooth creamy banana flavour enhanced with natural banana pieces and then enriched with melting Belgian chocolate pearls. Simply add hot water and consume! Remove Lid and Spoon. Fill to approximately 1cm from the top of pit with boiled water. Stir well to mix contents thoroughly and replace lid. Leave for 2-3 minutes, depending on how thick you like your porridge. Remove lid and consume.